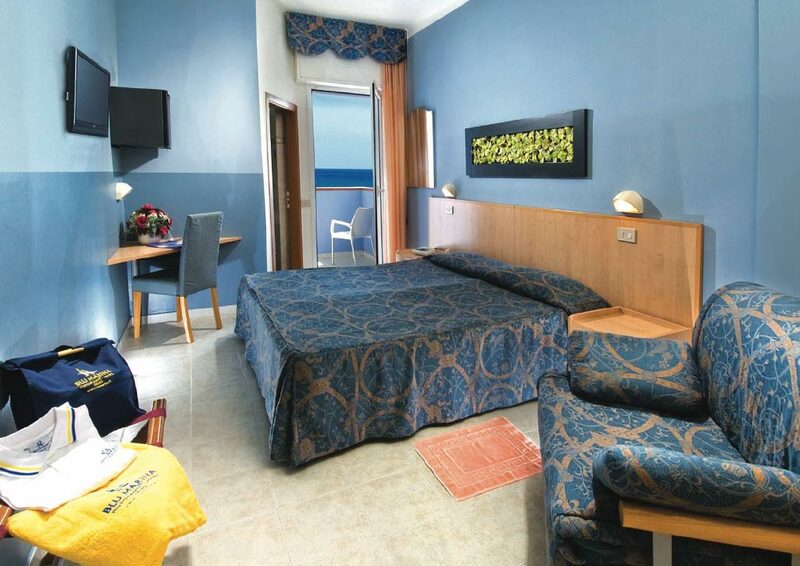 • Managed by the owners, Hotel Marina is on the sea-front in a quiet location; it features its own private beach, reading area, unlimited Wi-Fi access, large garden, private car parking (extra charge required) and is only a short stroll away from an over 300 places free-of-charge parking lot, the “Vanvitelli” parking garage, the train station and city centre. 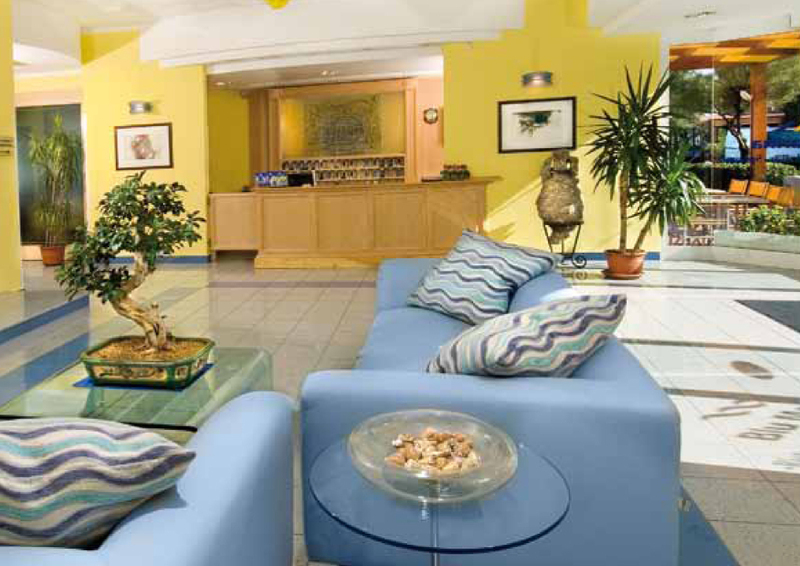 • The Hotel offers 44 comfortable non-smoking rooms with balcony (sea view requires an extra charge), unlimited Wi-Fi access, welcoming atmosphere, rich buffet breakfast. • Scrupulous cuisine and attentive service, appetizing choice of menu, rich buffets offering vegetables and fresh salad (half board). A wide selection of wines. Blu Marina Shop – organic products. 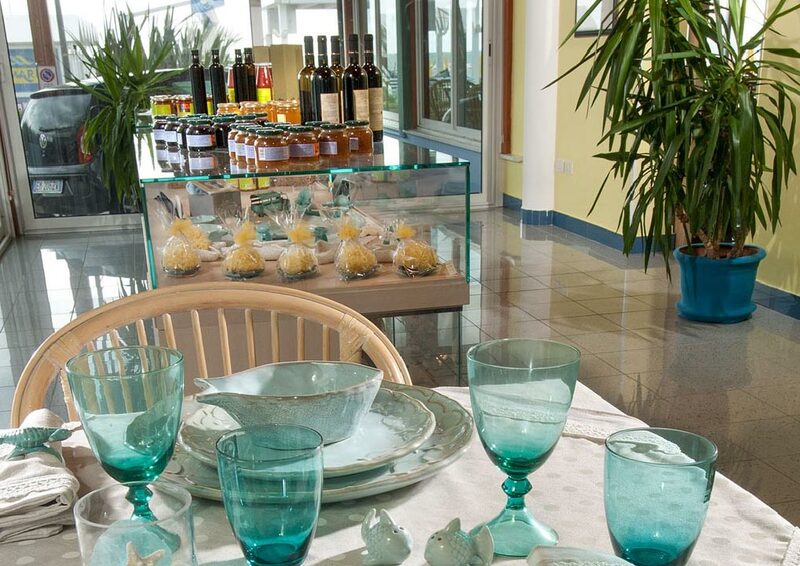 • Our Restaurant “Blu Marina” offers delicious specialities, refreshing aperitifs, cocktails and ice cream. • Relax on our private (fine gravel) beach with chaises longues and sun umbrellas, changing cabins, WC facilities, hot water showers, a large sandy play area for children. Take pleasant walks on the sea shore, go jogging, use one of our bikes, or explore Fano’s wonderful hinterland. My wife has a large family in the area. We travel from the USA often to Fano. Walter and his family and staff are the best. We can afford to stay any place but this hotel is safe and accommodating. We would highly recommend the Marina! We feel that Walter and his family are part of our family. We were very pleased with this hotel. Walter, his family and staff were exceedingly kind and helpful to us. 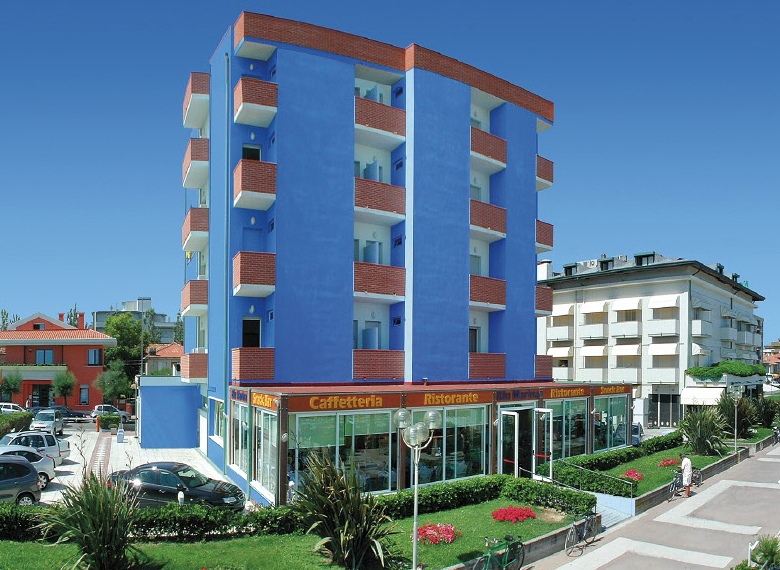 This is a hotel that is most popular with local Italian families, and our group of Americans was made to feel very welcome. 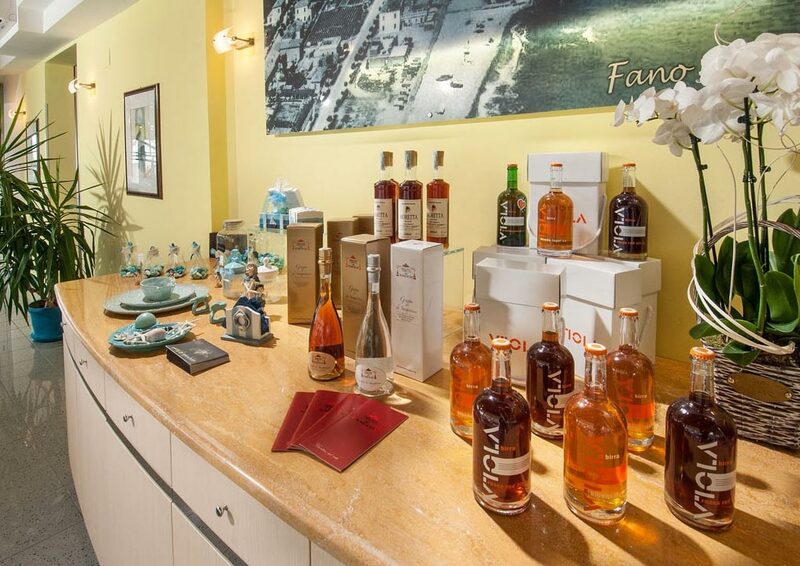 We recently had a family reunion in Italy and 23 of us stayed at the Hotel Marina in Fano. Walter, his family and the entire staff were warm, accommodating and helpful. The location is great, rooms comfortable and the food at the restaurant was good and reasonably priced. I'd stay there again in a heartbeat. One of the few hotels really on the Beach. Private Beach to the hotel. Very friendly and helpful staff. Nice restaurant on beachside . Also the beautiful and very italian town. Fano is within walking distance. So sollte man ein Hotel führen! Freundlich, zuvorkommend und flexibel, alle Wünsche wurden erfüllt! Wunderbare Lage am Strand, nahe der Altstadt von Fano. Ebenso das hoteleigene Restaurant ist zu empfehlen. Die Zimmer sind sauber, das Frühstück gut! Ein mittelgrosses Hotel mit grossartiger Betreuung, perfektem Essen und wunderbarer Lage. Der Service ist grösstenteils mehrsprachig (IT, DE, ENG) und sehr zuvorkommend. Das Essen ist typisch Marche - fantastische Fleisch-, Pasta- und Fischgerichte. Die Lage ist perfekt: wenige Meter zum Steinstrand und 10 Fussminuten zur Innenstadt. Die Lage direkt am Meer. Mit der Terasse oder Gartenwirtschaft ist Super!! Im Hotel Blu Marina verlebte ich ein paar wunderschöne Urlaubstage. 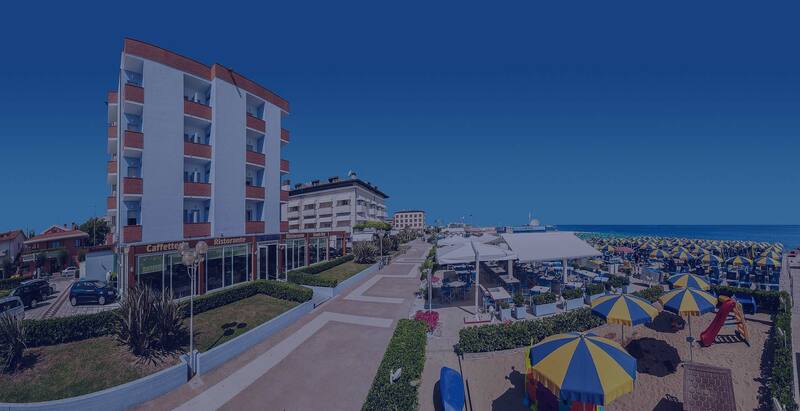 Das Hotel hat einen super tollen Service mit freundlichen Personal, sehr sauber und liegt an einem tollen Strand. Ich möchte sehr gerne bald wiederkommen. 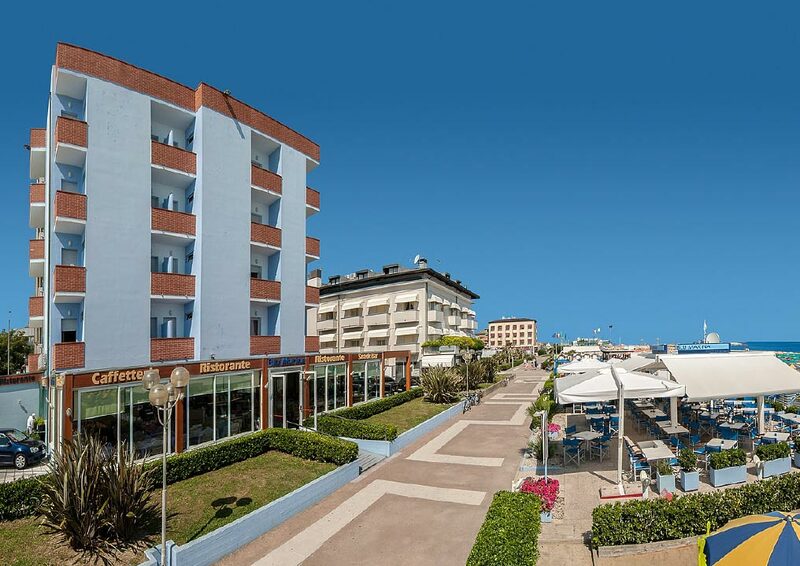 Hotel fronte mare e in posizione strategica (vicinissimo alla stazione e al centro storico). Tutto il personale e la proprietà sono super gentili e disponibili. Ottima accoglienza, personale gentile e sempre disponibile, cibo di qualità e porzioni normali spesso viene offerto il bis della pietanza... se volete rilassarvi e farvi coccolare il posto è adatto per semplicità a tratti raffinatezza che fa la differenza. Un ambiente eccezionalmente accogliente, le stanze con dimensioni ben studiate, una posizione unica e comoda.